Your Body needs water. Hydrate it with the best it deserves. KOR conceives sustainable products, design and robust to be used daily and lasting for years. Ergonomics is important too as your mouth, lips, and all your body deserves the best to enjoy water daily. Design has the power to change mentality, let’s end with the disposable plastic bottles which are ruining our planet and oceans ! KOR waterbottles are made with no BPA to be harmless for your health as well as the planet. They can be with you everywhere along the day. KOR Lineup will suit all your activities, whereas you want to use it at work or in the Gym. It’s « One hand » opening system has been developped to give you the best confort ever. 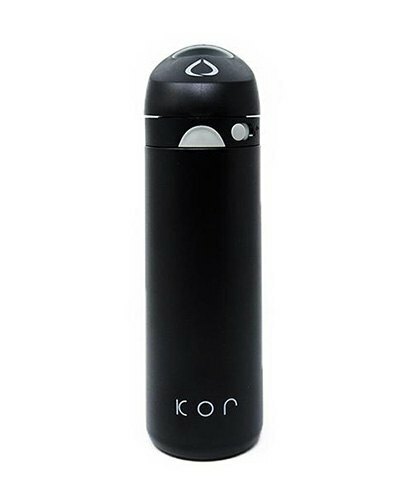 KOR Rok, and DEVI water bottles are double wall vacuum stainless steel to keep your drinks fresh and hot for hours. If you are into sport, KOR Nava, and KOR Plus are conceived with mouthpiece easy to drink from even in a vertical position. A revolutionary filtering made with coconut. We tried to buy a filter bottle that was beautiful, easy to use and pleasant to drink, but we could not find. So we decided to design our own bottle. After 18 months of reflection, drawing, prototyping and generally concerned with every detail, we found the answer.